What is Involved in Root Canal Surgery? 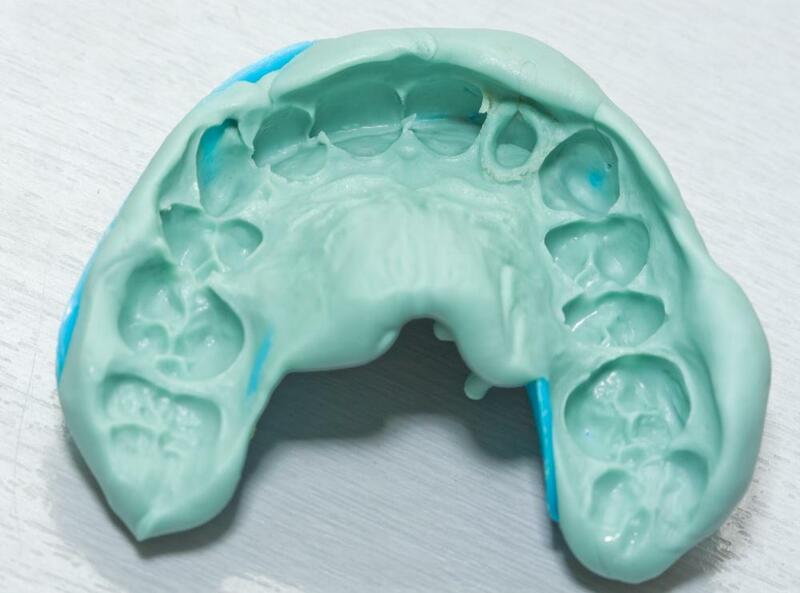 A dental impression is made to create a crown after root canal surgery. Dentists use a root canal to remove the nerve and pulp of a tooth that has become diseased or infected. Root canal surgery is a process that removes dead, decaying, or badly infected tissues in a tooth in order to save the shell of the tooth. It is generally done when there has been damage or an infection in the root of the tooth, rather than in the enamel portion above the gums. The nerve and the surrounding tissues are removed through the top of the tooth, which is then usually capped with a crown. The procedure is usually done by a dental professional in a clinical setting. Before the root canal surgery, the area around the tooth is numbed, and occasionally the individual's entire mouth and jaw are also numbed. The dentist then goes through the top of the tooth, drilling a hole through the enamel to get access to the tissues inside. 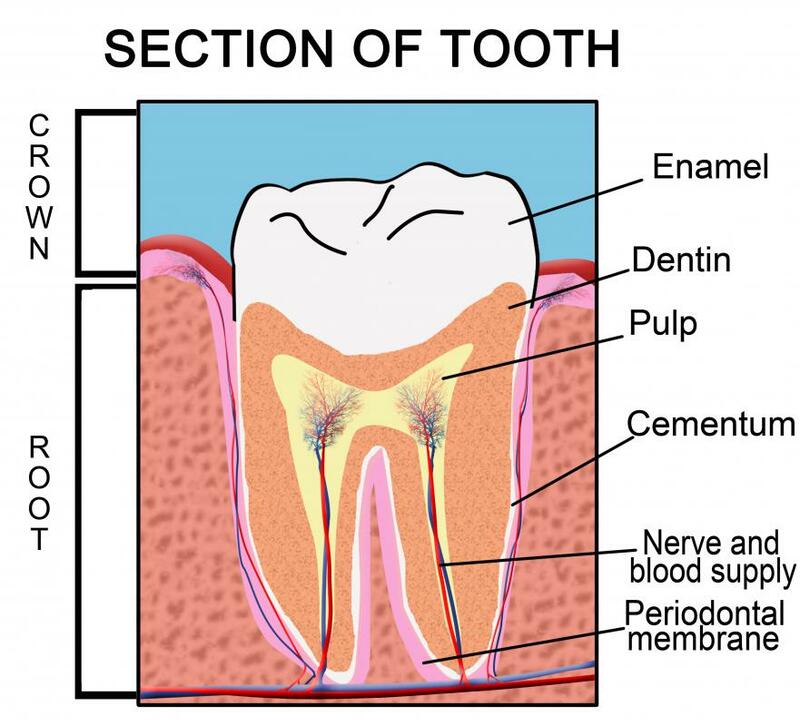 The tissue inside the tooth that cushions the nerve is called the pulp; in a root canal, this tissue has most likely become in some way infected and must be removed in order to preserve the integrity of the rest of the tooth. Once the pulp is removed, the nerve is taken out as well. The only purpose of the nerve is to differentiate between hot and cold, which is also done by other teeth and other areas of the mouth as well. If an infected nerve is not removed, the infection could spread to the rest of the tooth and the surrounding areas. In extreme cases where it is left untreated, an infected nerve can result in the growth of bacteria that can eat away at the roots of the tooth and adjoining teeth, as well as into the bone of the jaw. After all the diseased or decaying tissue is removed from the inside of the tooth, the dentist or oral surgeon will typically put some sort of antibiotic medication into the hole in order to kill any bacteria still present. Other materials are used to fill the rest of the hole, which is then sealed off with a crown that is cemented onto the remaining tooth structure. The permanent crown may be fitted well after the root canal surgery, as sometimes it takes days or a week to make the final crown from an impression of the tooth. Occasionally, a crown may come loose and need to be refitted or replaced. Another possible side effect of root canal surgery is the release of bacteria into the bloodstream; some medical professionals will put the individual on an antibiotic in order to help fight off any possible infections. The pain of root canal surgery typically only begins after the numbing agent has worn off, and lasts a few days. What are the Best Tips for Root Canal Recovery? What are the Most Common Root Canal Side Effects? What Should I do After a Root Canal?